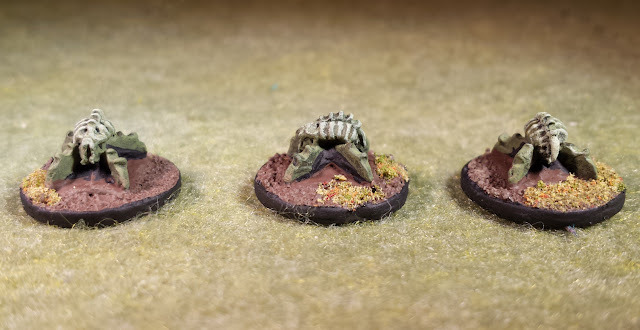 Recently, Adam (the DM of Hymns of a Vagabond) asked me whip up a few beetles for game 9 of Hymns of a Vagbond. 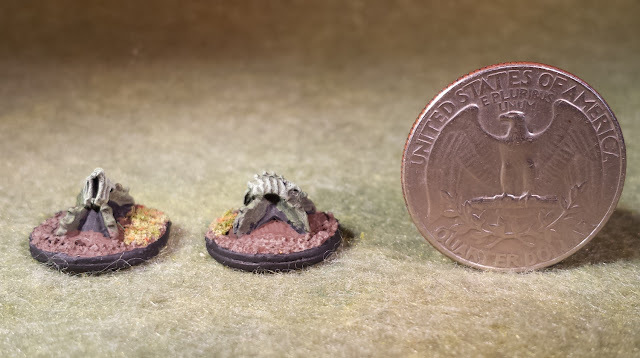 Well, I didn't have any beetles but I did have these alien "Space-Demon Nymphs" from Khurusan Miniatures. I figured they could serve as a couple of monster from giant frogs, to different kinds of bugs... etc. So painted them up in a fairly neutral colour. Thankfully they were exactly what he wanted; both in size, and relative design. Now at the time of writing this, I have not fought them yet, but likely I will know what they are by the time everyone gets to read this, so I will make sure to let you know at the bottom. 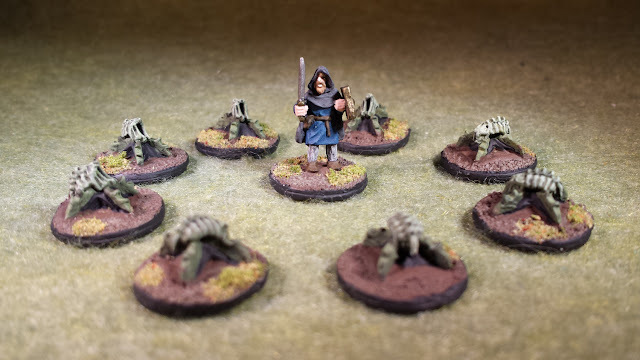 The group of eight make for a fairly large encounter and of course let's you play with their designs. I had a cool idea to paint some grey and red after I had finished. But such is life, I will just have to get more I guess! 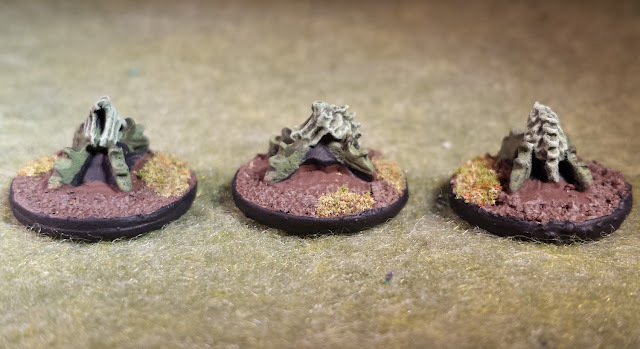 I am sure these little guys will turn up all over the place in our campaigns, and I am quite glad I got them painted.